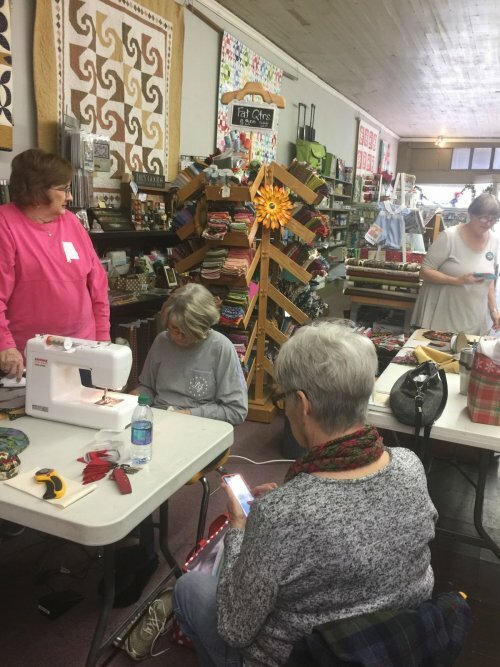 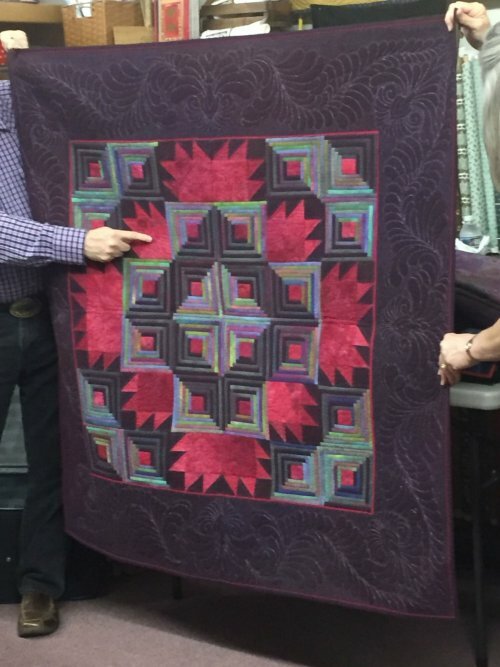 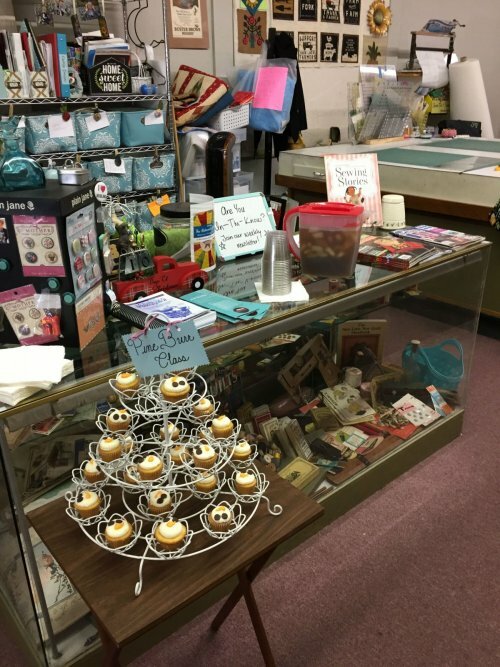 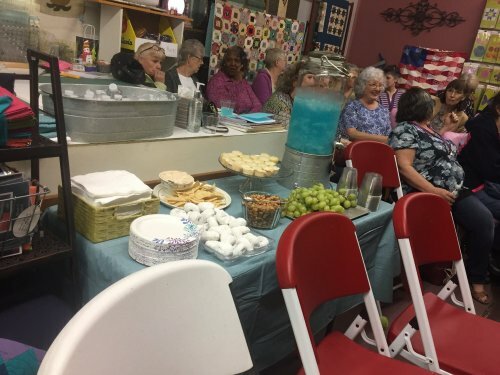 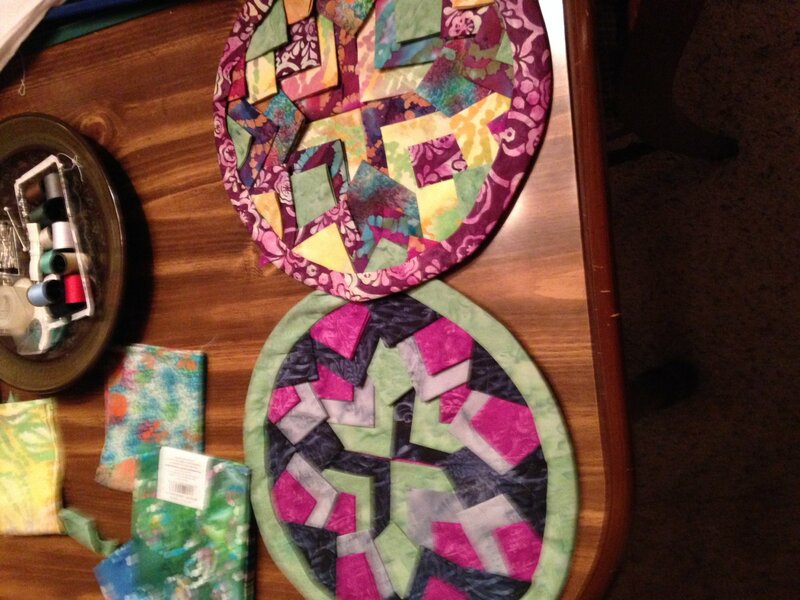 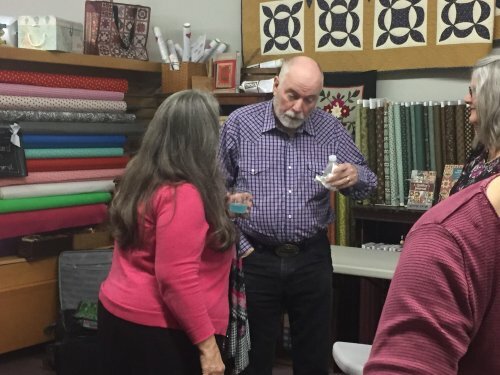 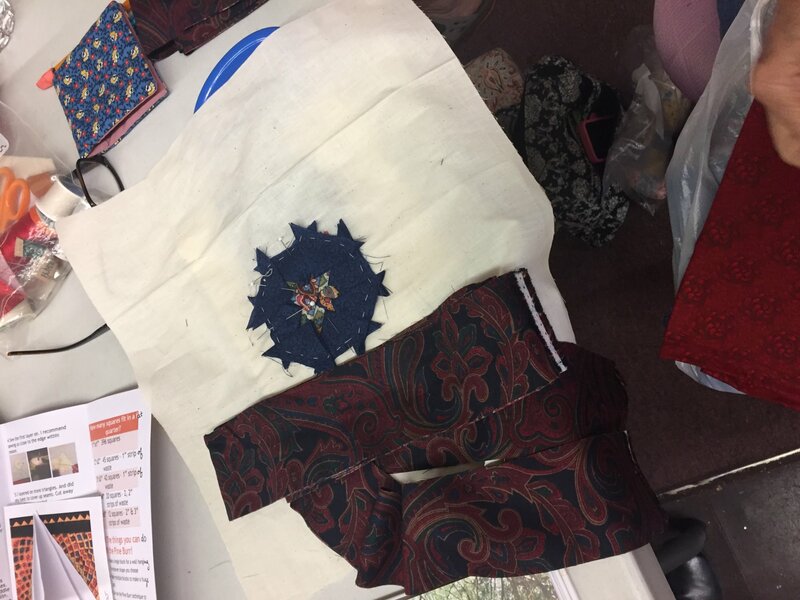 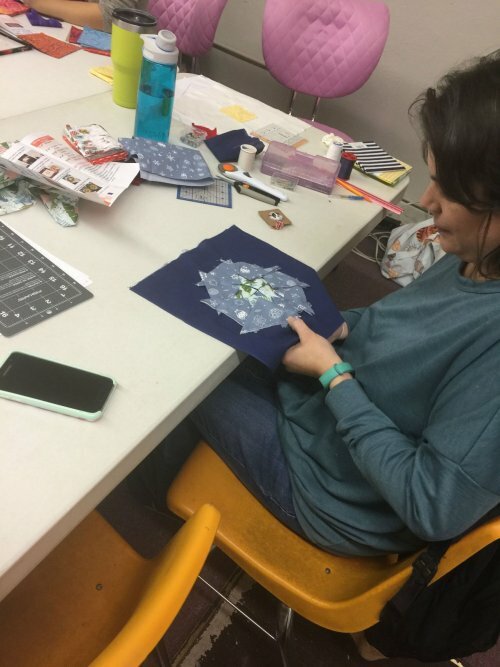 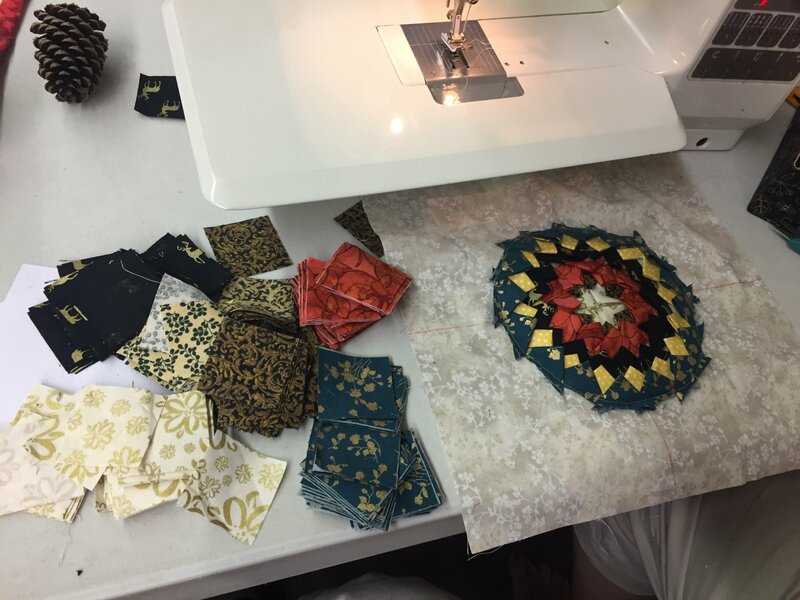 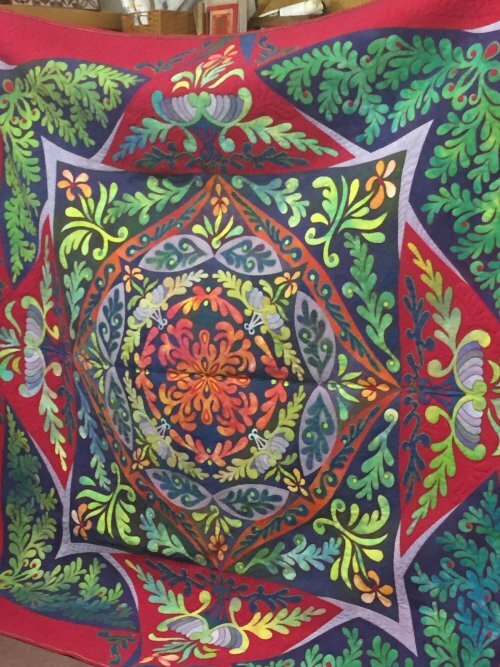 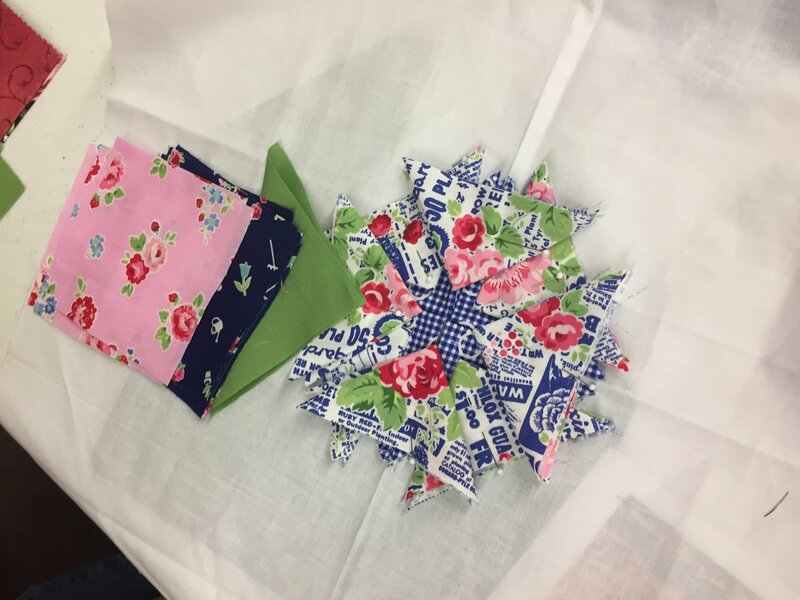 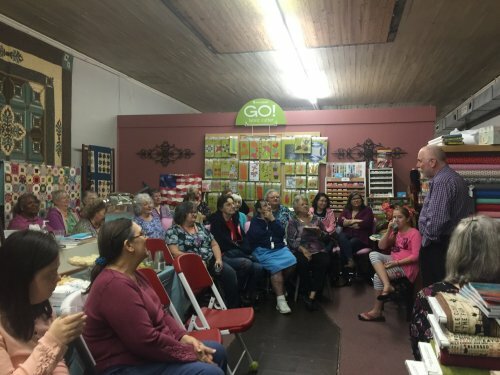 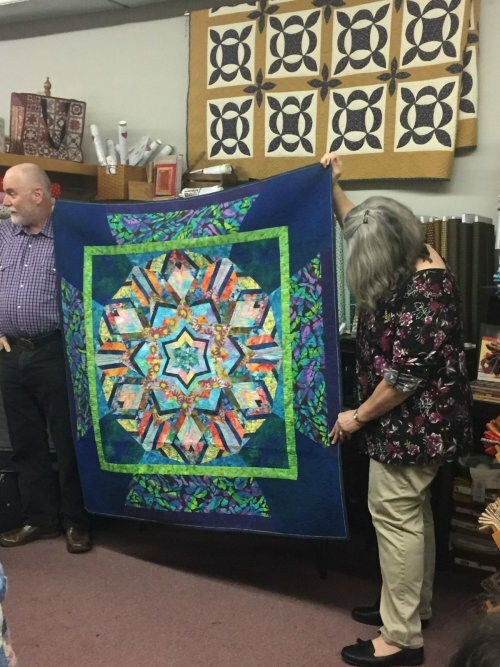 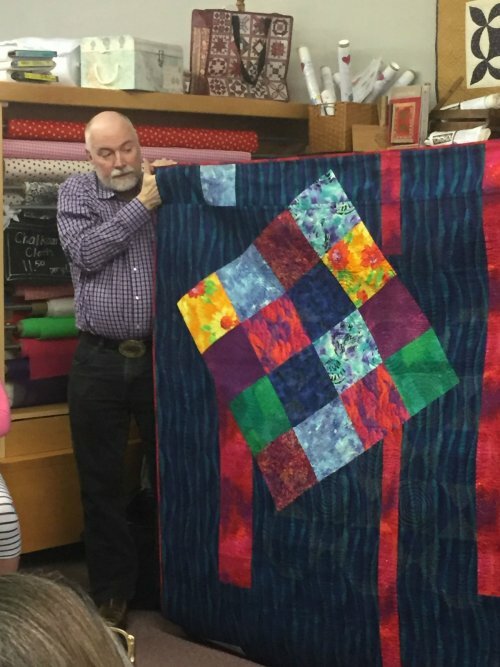 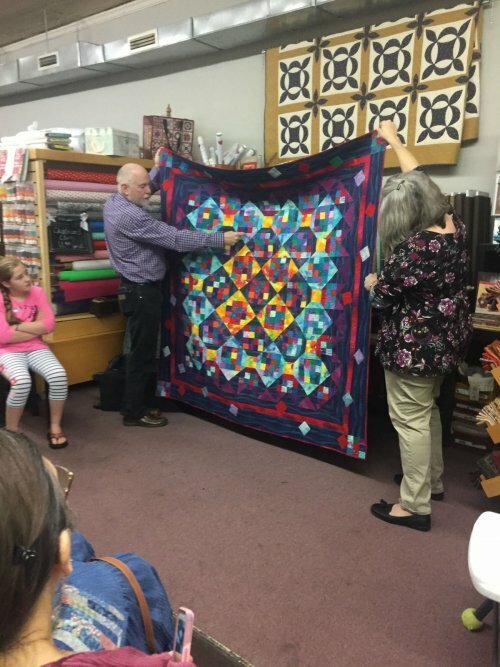 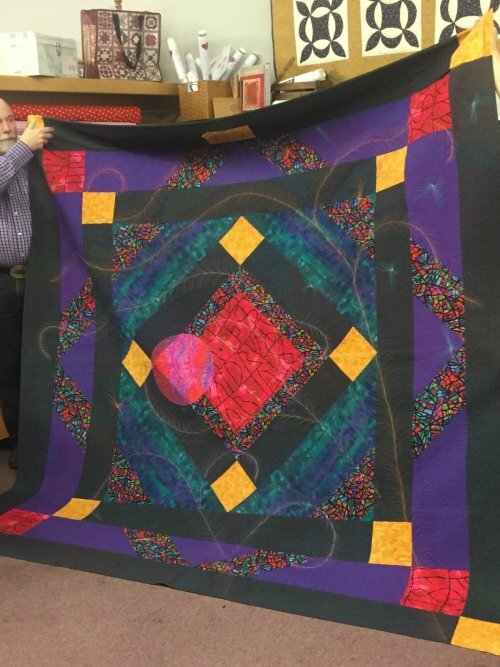 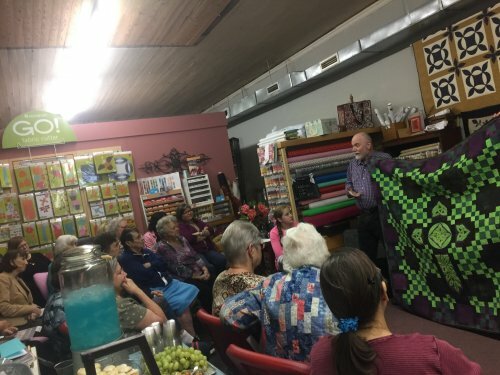 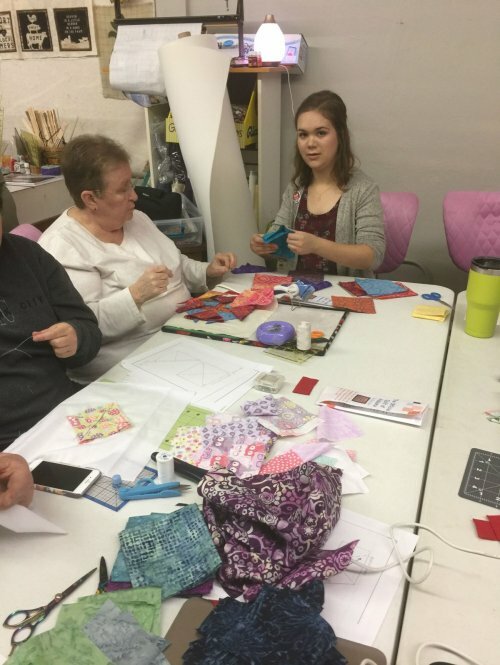 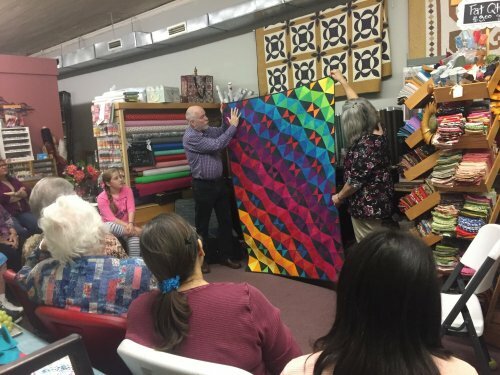 Open House at Quilted Creations with special guest Ricky Tims Photo Recap! 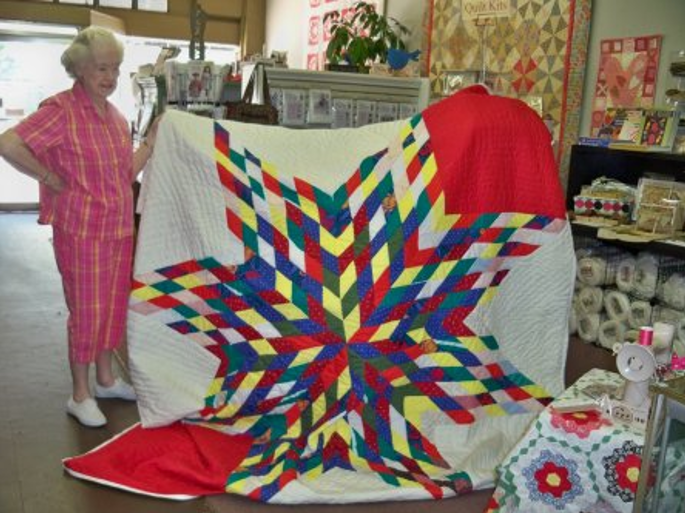 Back of "Road to Wichita Falls"
Mrs. Betty is wrapped up in helping Mr. Ricky Tims! 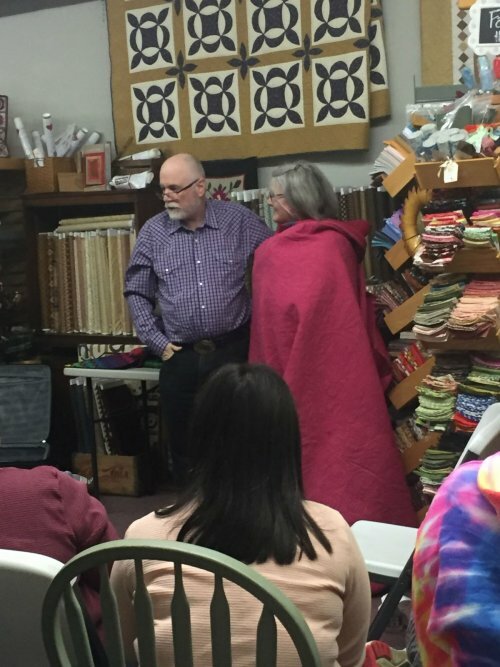 Meet Mrs. Avis Anderson. 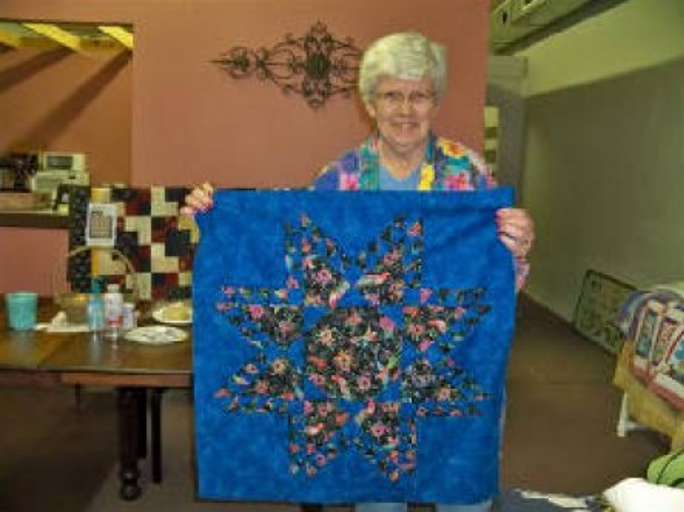 Working on quilts for all of her children. 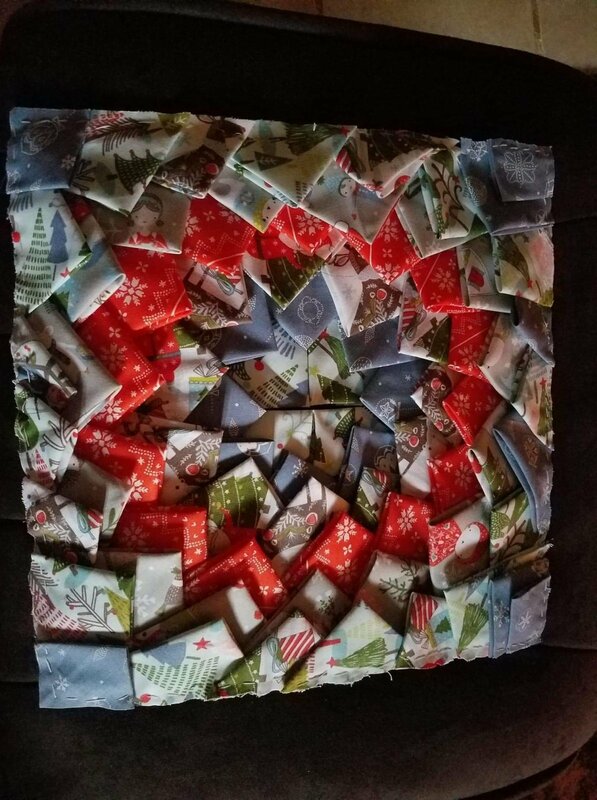 This is the fifth for this year. 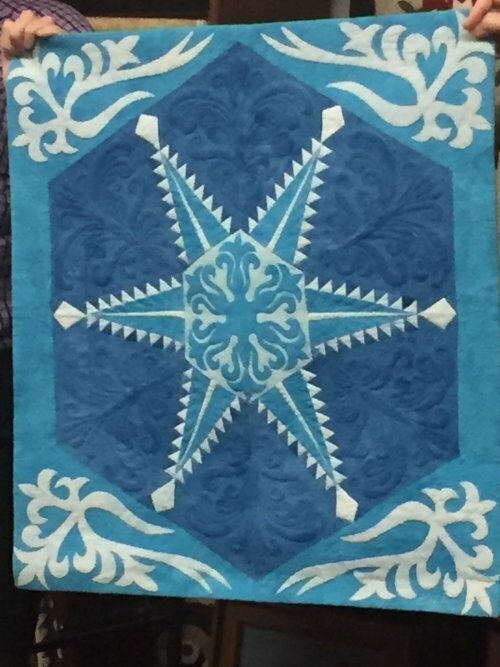 These are a few of our feathered star blocks from Block of the Month. 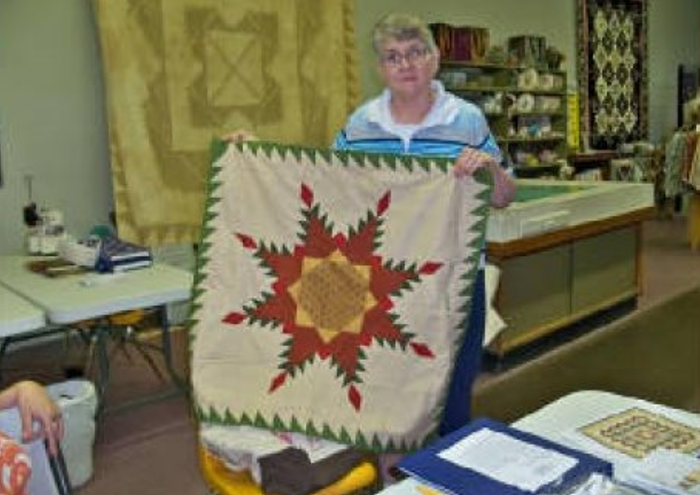 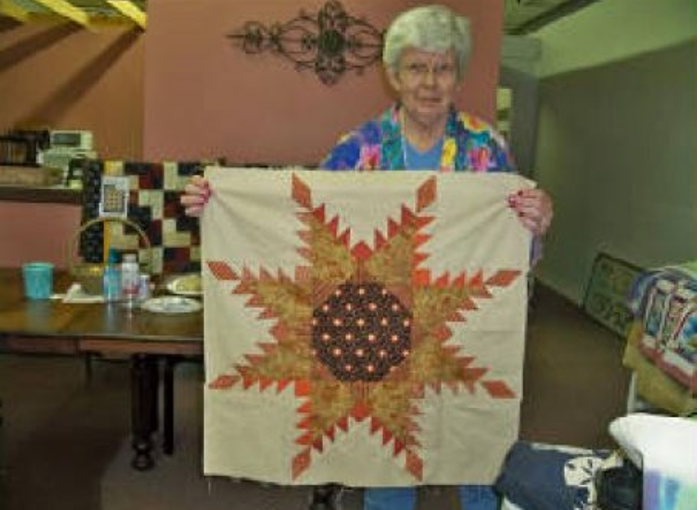 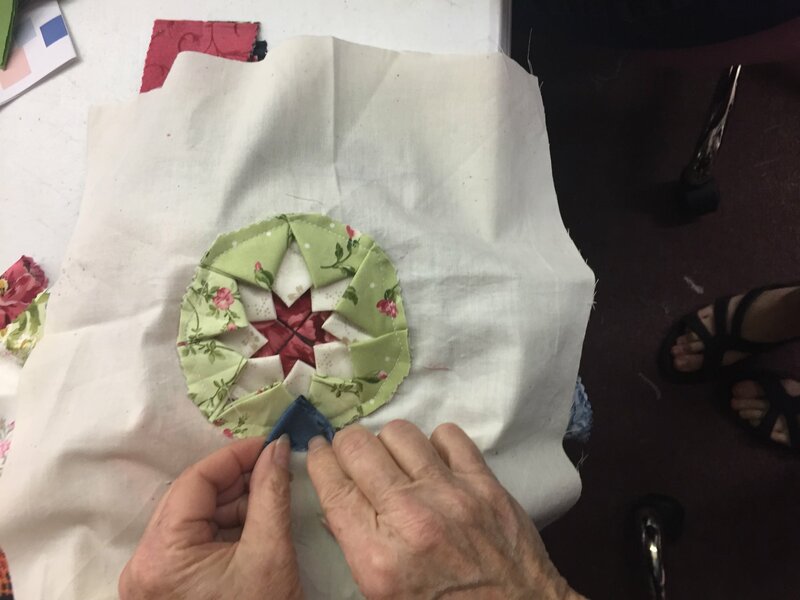 Nancy is sharing the feathered star in two colors. 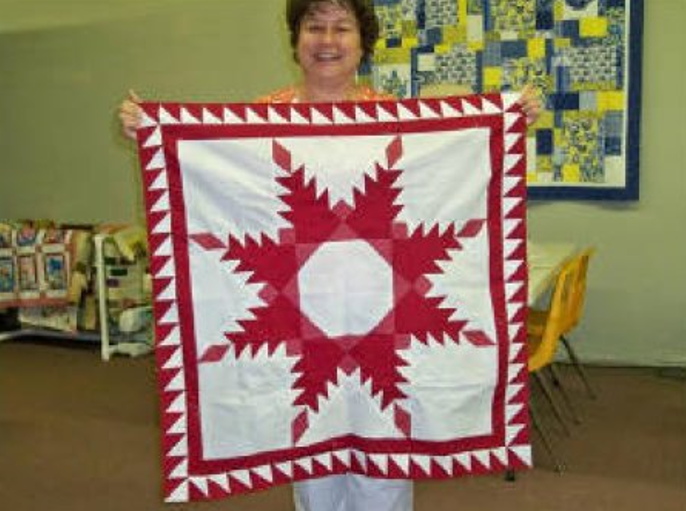 Cindy is making her star in red and white. 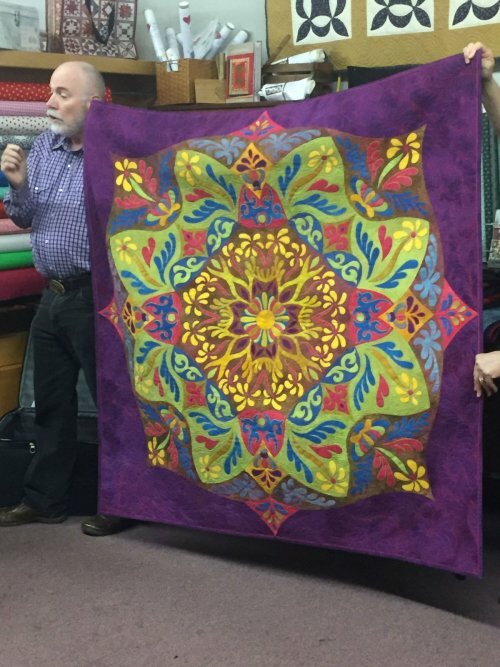 Nancy show off another color way. 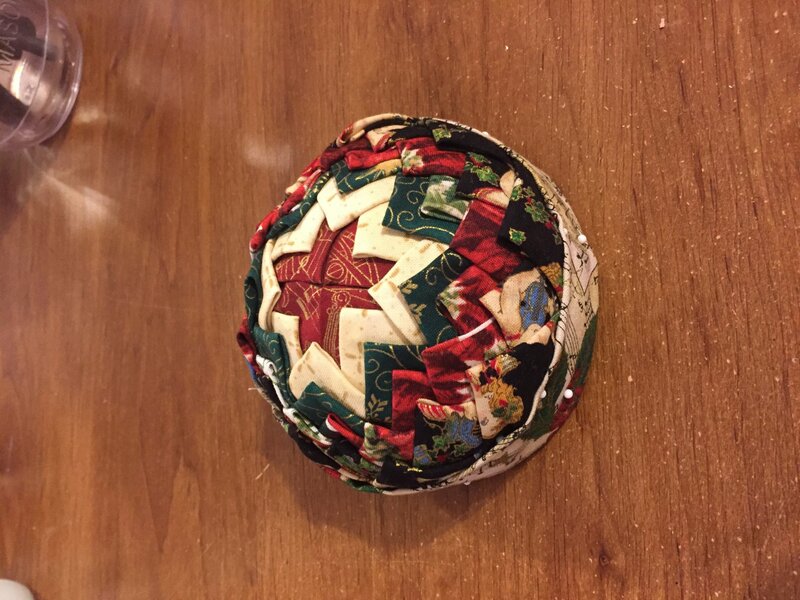 Make a Pine Burr Pincushion! 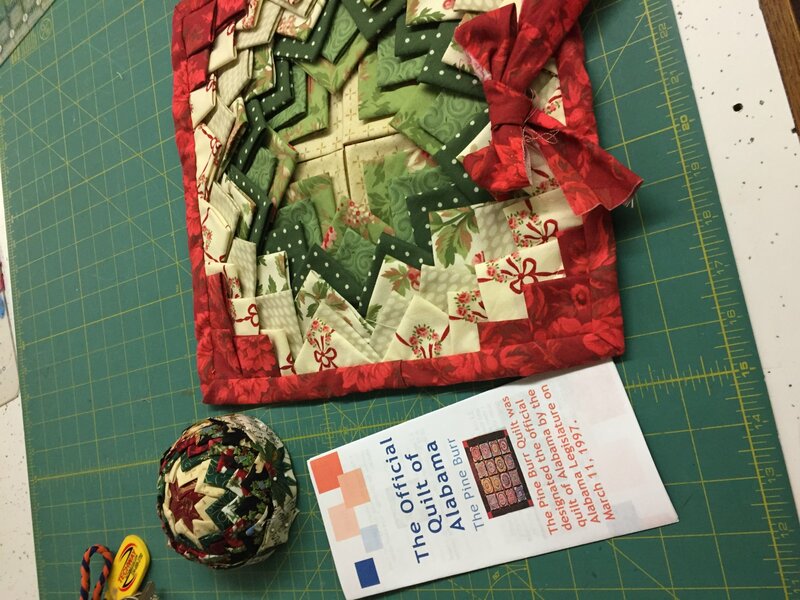 Christmas-themed Burrs and Pine Burr Brochure.